Aristophanes, one of the greatest and most important poets of the golden age of classical Greek literature, has remained, in the English-speaking world at least, one of the most forbidding, because least well understood. This is a collection of critical and interpretative essays in English devoted entirely to this poet. Addressed to specialists and non-specialists alike, its purpose is to bring modern literary and philological methods to bear on some aspects of Aristophanic poetry most crucial for our understanding not only of Greek literature but of Greek history and culture as well. 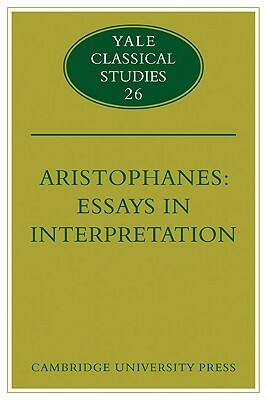 The essays provide fresh insights into three of Aristophanes' richest and most challenging plays (Acharnians, Clouds and Lysistrate), a re-evaluation of the poet's fame as a lyricist, and a consideration of his notoriety as an opponent of the great war with Sparta. It is hoped that these essays will stimulate in all students of classical antiquity renewed interest in this brilliant and provocative poet.